Thinking of getting the GTHQ team a Christmas present this year? This item is at the top of our list! 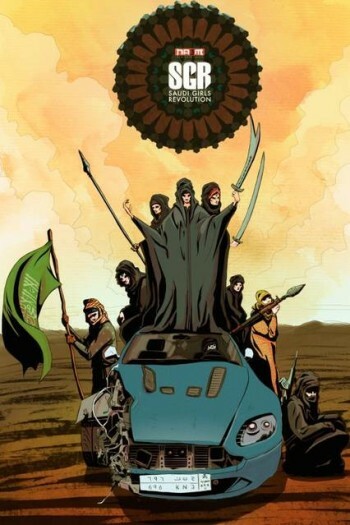 It’s a new video game from developers Na3m called Saudi Girls Revolution and features women driving, killing villains and defeating evil cyborgs. It will be released at the end of the year. When most people think of Saudi Arabia they think of the oppression of women. Let’s make it clear that there are plenty of freedoms, opportunities and revolutions happening for women in the Arab world, especially since the Arab Spring. But in Saudi Arabia, women are still not allowed to drive. A law was brought in in 1957 to ban women from driving. Women in the country first started protesting against this unfair and discriminatory rule in 1990, according to the International Business Times. To date these protests have been happening almost annually, with the Arab Spring revolution buoying them on. However the government has not changed the law, and in fact even warned women in 2014 against driving in protest of the ban. In 2008 a woman bravely filmed herself driving and uploaded it to Youtube. Wajeha al-Huwaider became somewhat of a hero, allowing the internet to see what women in the country are battling against, yet it still did nothing to change the minds of lawmakers. 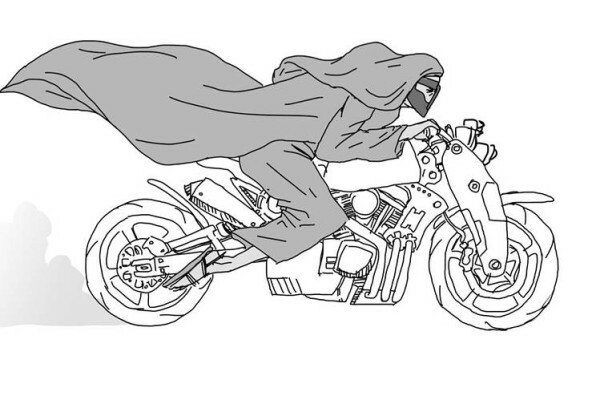 In somewhat of a victory or middle finger to this law, a video game company has created Saudi Girls Revolution which allows not so much retribution for women, but a different type of protest in order to penetrate social conscience and hopefully, change the law against women driving. It should also be pointed out that Na3m is a company headed up by Prince Fahad bin Faisal Al Saud, the grandson of the brother of the King. Now that’s a He For She ambassador right there! The game developers believe SGR can be an important tool for social change in a way that perhaps heated protests cannot. “We believe that the creative industries can be a leading light for social change. 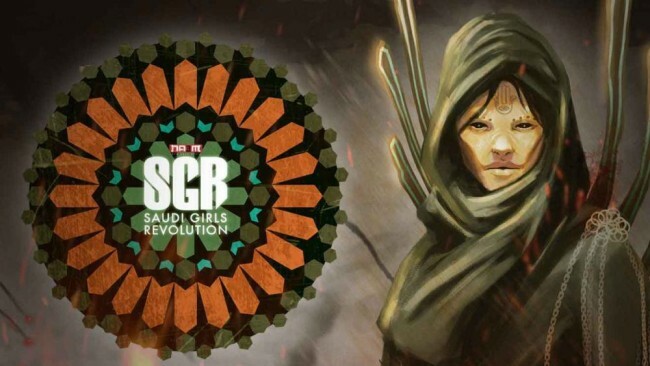 With an epic series of comics and a regularly updated mobile game furthering the story of Saudi Girls Revolution, NA3M hopes to capture the imagination of female and male gamers. Challenging convention along the way, and maybe even starting a Mind Revolution,” they say on the website. The ultimate mission of the women in the game is to defeat the tyranny of the corrupt Arabian Empire. The women ride motorcycles and come form a diverse range of backgrounds. Asma and Allanoud are siblings who both fight against religious sectarianism. Then there’s Um Bandar, a sagacious leader who trains women to fight for themselves, as well as a character named Hussa, who is gay. Aside from the obvious aspect of this game, the developers also wanted to challenge sexist conventions that are still present in the gaming industry worldwide. “There continues to be very few strong female leads in games and comics. For those that do exist, they are often over-shadowed by male counterparts. Enforcing such gender stereotypes in an environment where arguable gender inequality persists, no doubt holds back social change,” the said. Their hope is that everyone will enjoy playing the game once it is released, but they particularly want to “empower the undeserved female audience”. “We believe that the creative industries can be a leading light for social change. We also wanted to address female inequality in gaming. Woman are now the dominant audience, spending more money and playing more games, but female protagonists are few and far between, and those that do exist seem to cater more to male fantasies,” they say. Despite it looking like a major political statement against his own family and country, Prince Fahad said it is not. “Saudi Girls Revolution inspire women to see themselves in roles that are equal to men,” he said to the Wall Street Journal, adding that he hopes every person in the Kingdom who has a phone, even his own family members, will play. Prince Fahad’s unique perspective on gender equality for women in Saudi Arabia could perhaps be attributed to his upbringing overseas and his Western education. He went to Stanford University and has previously worked at Facebook. He currently lives in London and told the WSJ that he was inspired by games like ‘Tomb Raider’, featuring a strong lead female character, to create his own version. His motives are to challenge the individual perception on matters of gender. “If we can tell people stories about women driving, maybe they will, maybe it will actually happen. 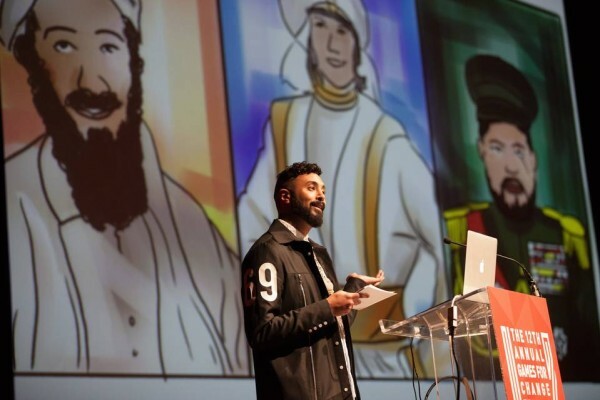 I wanted to engage the Saudi community…to allow them to be comfortable and familiar and used to these types of visuals,” he said. He previously created a game called Run Camel Run inspired by his father’s love of camels. His father is very conservative and was initially against the tech career choice, but the Prince’s hard work paid off because now he says his father loves playing Run Camel Run. As the Wall Street Journal points out, this is not the first instance of a video game being used as a tool for social change or commentary, and we certainly hope it won’t be the last. Asi Burak, president of Games for Change said Prince’s Fahad’s game is momentous. “It makes a huge statement. You have someone [who’s] part of the establishment in a huge Arab country…starting a game company to deal with Arab culture and Arab themes. It’s edgy,” he said.